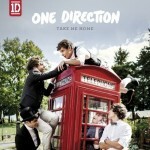 One Direction has announced their second album Take Me Home to the delight of their fans. Yesterday band member Louis Tomlinson took to Twitter with the announcement. One Direction’s debut album Up All Night became the first album by a British group to enter the US charts at No 1. The album didn’t do quite so well in the UK, when it was issued in November 2011 it climbed to No 2. Up All Night has sold 3m copies worldwide. The first taste of Take Me Home will come on the 1st October, with the single Live While We’re Young. The song was written by Savan Kotecha, Rami Yacoub and Carl Falk, the trio who worked on One Direction hits What Makes You Beautiful and One Thing. 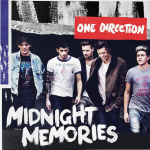 The new album Take Me Home will be released in the UK on the 12th November and 13th November in the USA this year.